When there is a drought, groundwaters and surface waters often lower to the point where lakes and rivers dry out. Those who pump their water from aquifers for irrigating, drinking, cooking and washing during these dry seasons, increase the problem. We asked volunteers for ways to get over this widespread problem. Better water collection and storage along with careful water use were the top ideas on the list. But what if you are a fish living in a river that is gradually drying out? First of all, you’ll be easier to catch and kill in concentrated numbers. Then, as your home is taken away from you, you will drown in air unless you get help. Aquifers, untouched for thousands of years, are now being pumped out to satisfy human demands for clean unpolluted water. The best solution is to keep pollution out of surface water and continue to use this. Many think that rainwater and dew collection is the answer but this just short circuits the water cycle. In the meantime, freshwater life is at risk and most of it isn’t suited to pack its bags and move home into the sea. 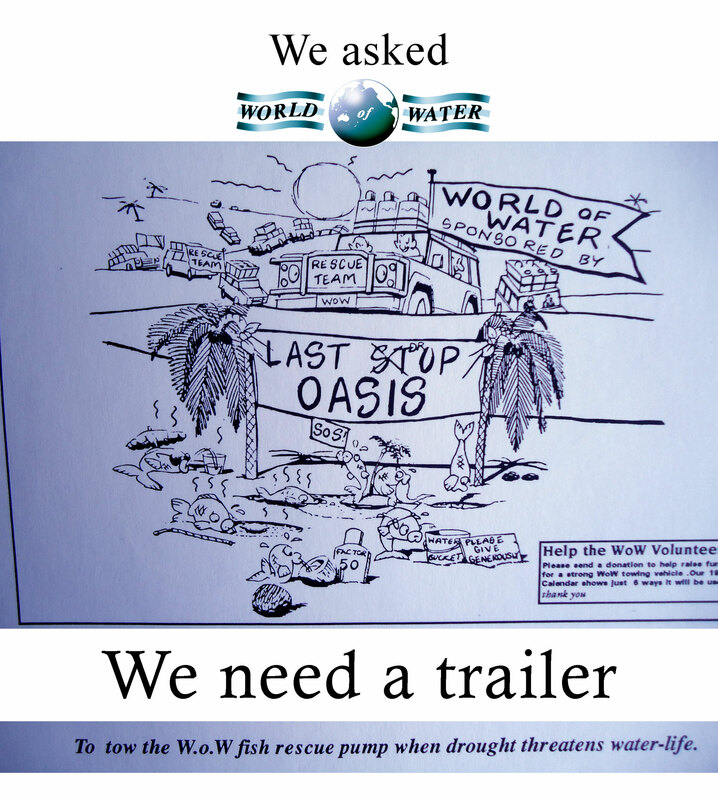 Help us by sharing this blog and getting everyone to focus on the growing shortage of fresh clean water.